Free delivery & installation included. Find out more here. StrongCore™ Cladding offers the workability and toughness. 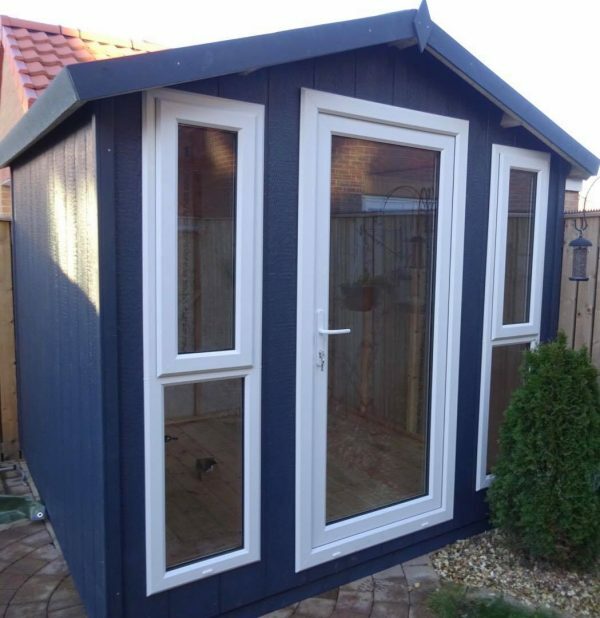 It’s the smart choice when you want a summer house or garden building with last beauty. StrongCore Cladding technology has been tested for over 20 years in Hilo, Hawaii—a region that experiences 170 inches of annual rainfall and intense humidity. It’s an area with ideal conditions for fungal decay, and it’s home to a large Formosan termite population. 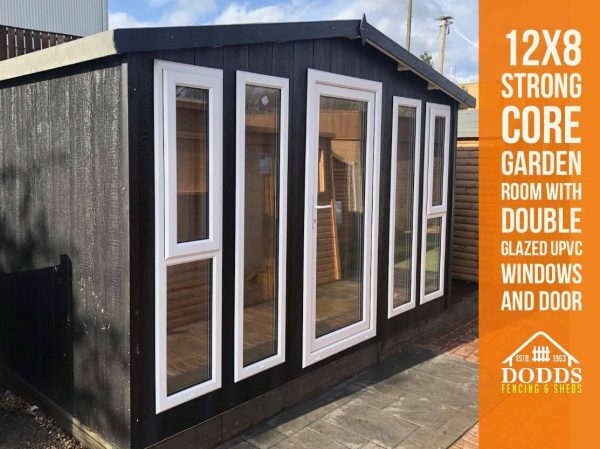 Since StrongCore panels perform well here, you can count on superior performance in your garden. 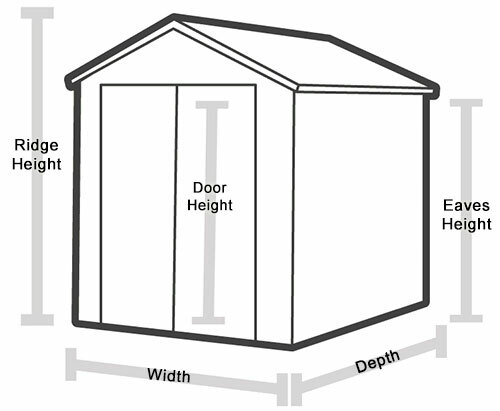 * Measurements are approximate with a variance of around 2 inches. 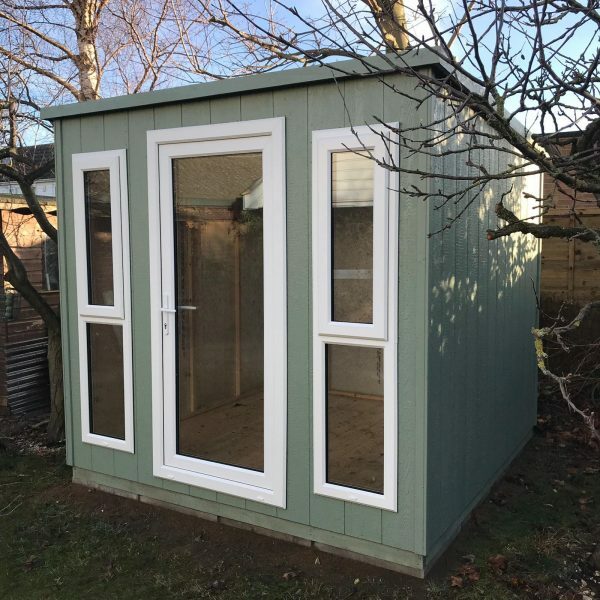 If your shed is looking a tight fit, please contact us on 01642 674827 for us to ensure the perfect fit. Our delivery service is only available to locations within the TS postcode area. We may deliver outside this area within a reasonable distance, but a fee may be applied. 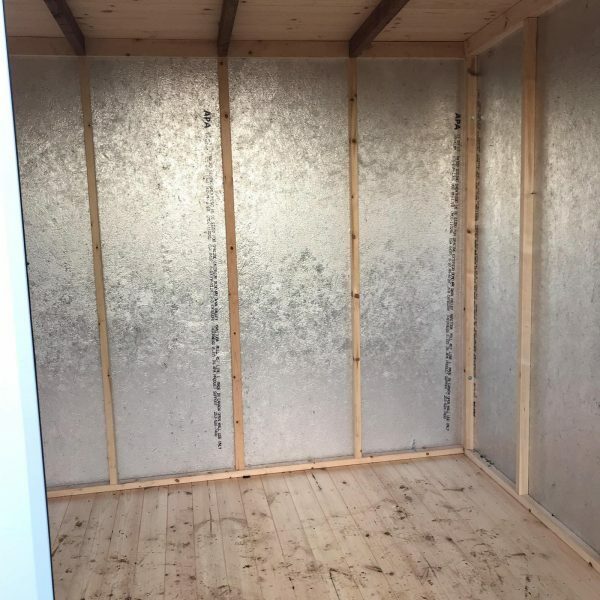 Please contact us on 01642 674827 to discuss this with us. All orders of £50 or more, across any product category, will qualify for free delivery. All orders under £50 are subject to the standard £8.95 delivery charge. Please select a suitable date and time for delivery at the checkout - we will contact you within 24 hours to confirm your delivery. 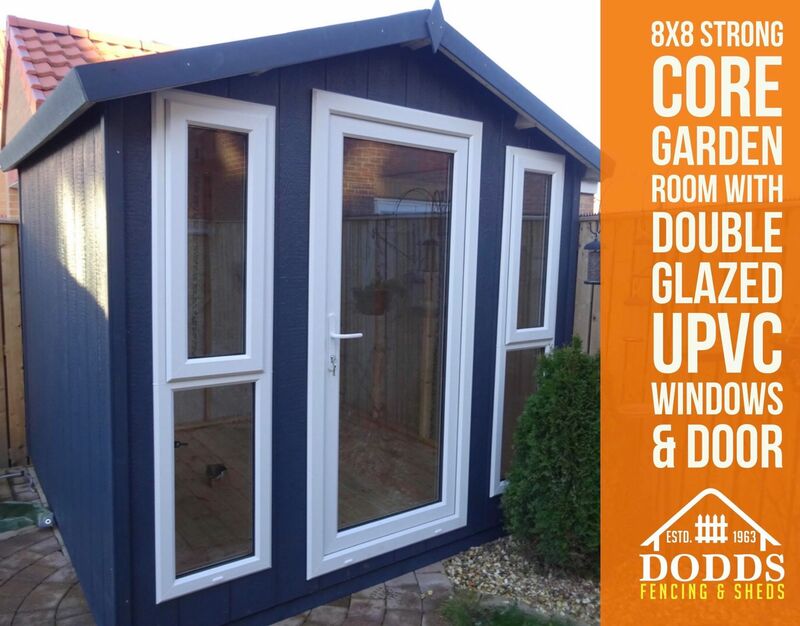 Free installation service included on all Sheds, Garden Rooms & Summerhouses. Find out more here. 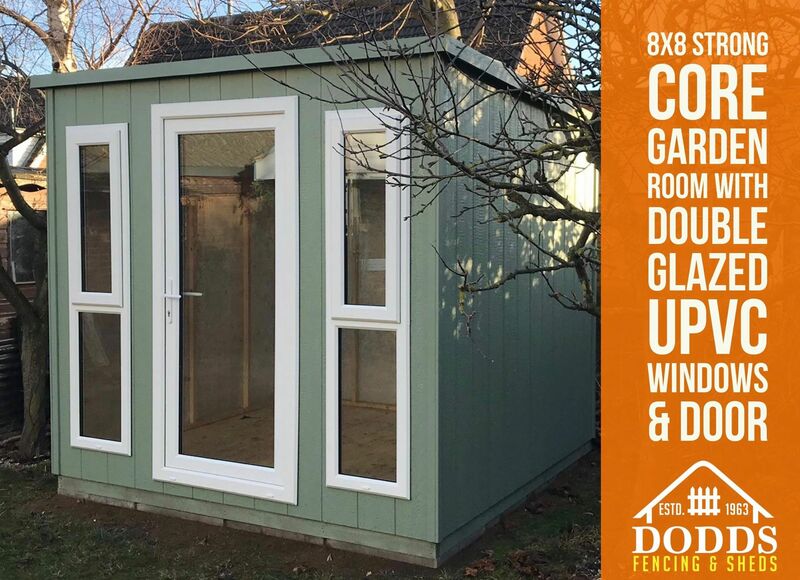 We are Teesside's leading outdoor garden building manufacturer with a clear aim of making purchasing garden buildings as easy as possible. 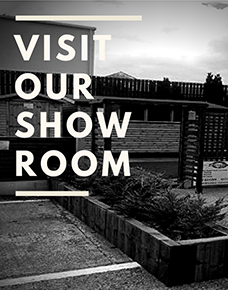 We work directly with our suppliers to bring you the best materials at the best prices. 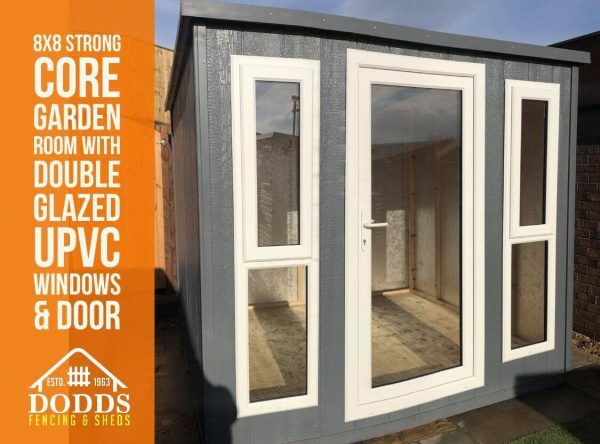 All sheds and garden building are manufactured and constructed at our onsite sawmill ensuring quality is kept to an exceptional standard. We offer free delivery on all orders over £50 to the addresses within the TS postcode. We pride our selves on offering a quick and hassle-free service. Installations are carried out by professional installers with many years experience in the timber and joinery trade. See the exceptional build and material quality of your shed or garden building by visiting our Stockton on Tees showroom. Being in business for so long has allowed us to develop a fantastic range of sheds & reduced supplier prices, which are passed on to you.